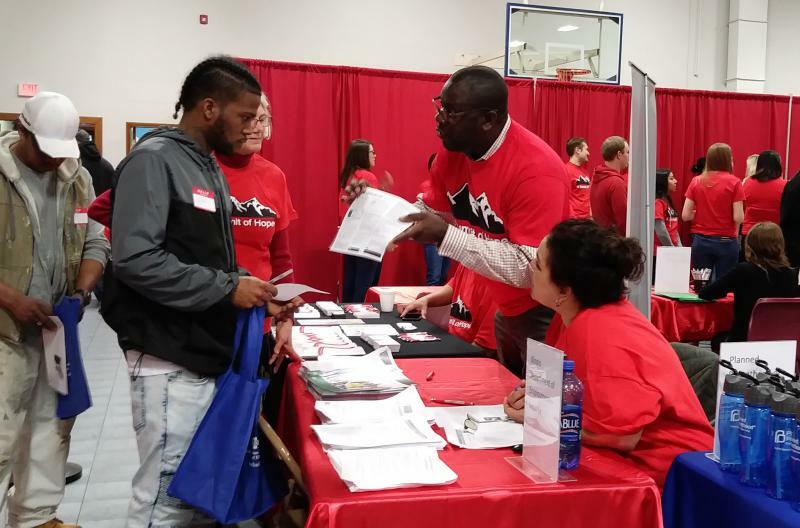 A variety of community groups were on hand for Tuesday's Summit of Hope at the Salvation Army to advise ex-offenders seeking a fresh start. 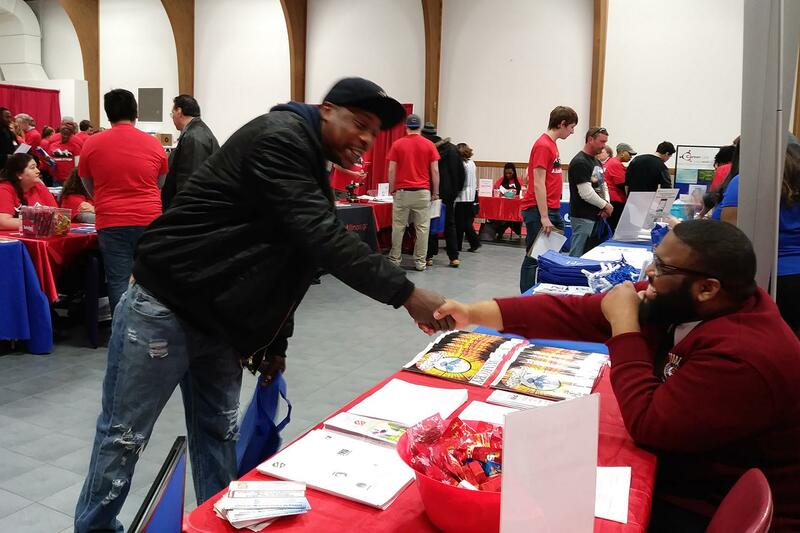 Hundreds of McLean County residents on parole or probation attended a fair Tuesday at the Salvation Army, offering advice on jobs, housing, health insurance, counseling services and how to get a criminal record expunged. Billed as the Summit of Hope, the event was sponsored by the Illinois Department of Corrections, and included a variety of social service, legal aid and counseling agencies, including Prairie State Legal Services, Get Covered Illinois, the YWCA Stepping Stones and Labyrinth House programs for women, and Geo Re-entry Services, which provides peer mentoring for ex-offenders. 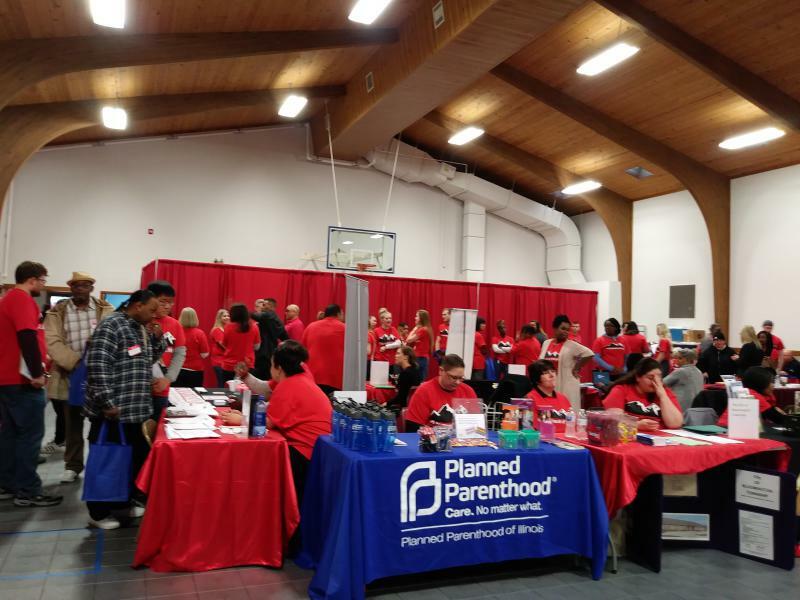 Marcus King, senior community outreach officer for the Corrections department, said the department wanted to provide a “one-stop event” where parolees and probationers could receive help with a variety of issues, from obtaining a driver’s license to getting tested for HIV. “We are trying to fight recidivism and we want to make sure people in this community with criminal records are able to move forward and better their lives,” King said. Illinois has a recidivism rate of 43 percent. John Childress, U.S. attorney for Central Illinois, who stopped by the fair, said that rate is too high. “It’s not good for anybody. It’s not good for the community, it’s not good for the penal system, and it’s not good for the people returning to the penal system,” he told GLT. Marion Carr, who served two years in prison, two years on a work release program on a drug charge and is now on parole, was one of about 300 ex-offenders who attended the event. “We need somebody to care about the people coming out of these institutions and this is a good start,” Carr said. He said he was particularly pleased to see there were counselors at the event who can help people re-connect and rebuild their family lives. Sabrina Bowers Williams said she had served 510 days in the McLean County jail on a unlawful restraint charge and has a few days more on her parole. She said she was most interested in speaking to the Prairie Legal Services attorney on hand about how to eventually get her record expunged. Those on probation and parole were greeted and helped by some 200 volunteers, most of them staff or students from Illinois State University. Ashlee Stieler, a sophomore criminal justice sciences major, said she believes too many ex-offenders are stereotyped. “They have a bad reputation and I don’t think that is the way they should be portrayed,” she said.